1917: VPL# 7822. Photographer: Philip Timms & 1927: Province Building with Dominion Day decorations. VPL# 22598A. Photographer: Dominion Photo Co.
Archives# CVA 677-535. Photographer: W.J. Moore. 1924: Woodward’s at Hastings and Abbott. Archives# CVA 809-24. 1925: VPL# 17974. Photographer: Stuart Thomson & 1924: Mayor L.D. 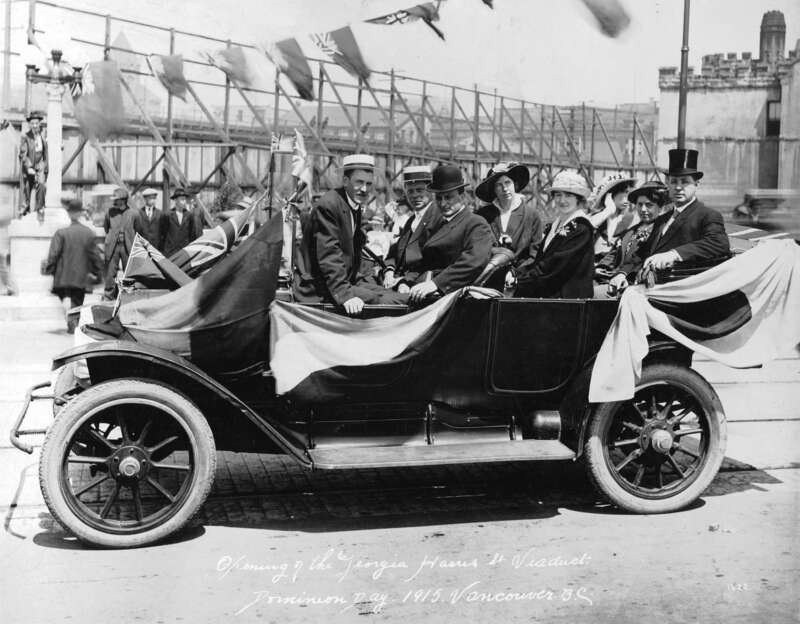 Taylor in a carriage on Dominion Day. Archives# CVA 1477-40. 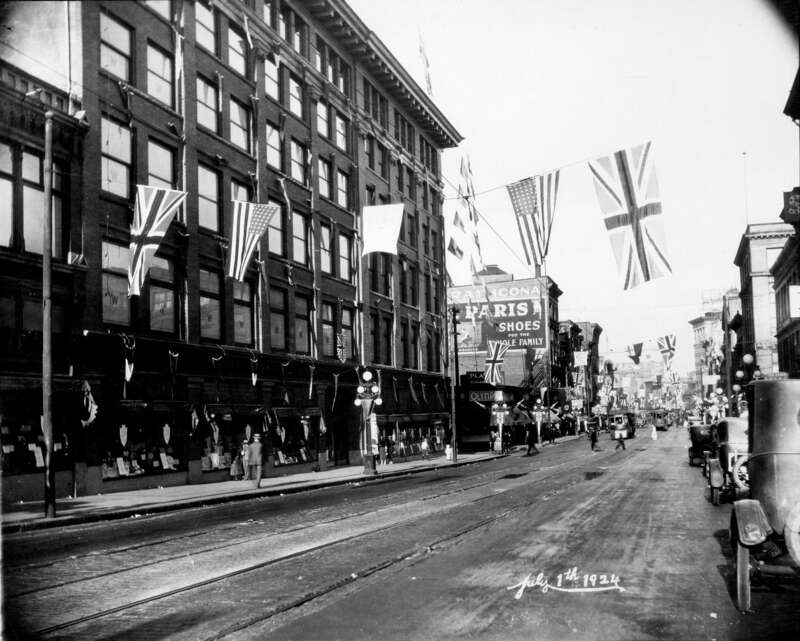 1925: 100 Block of East Hastings. Archives# CVA 1376-579. 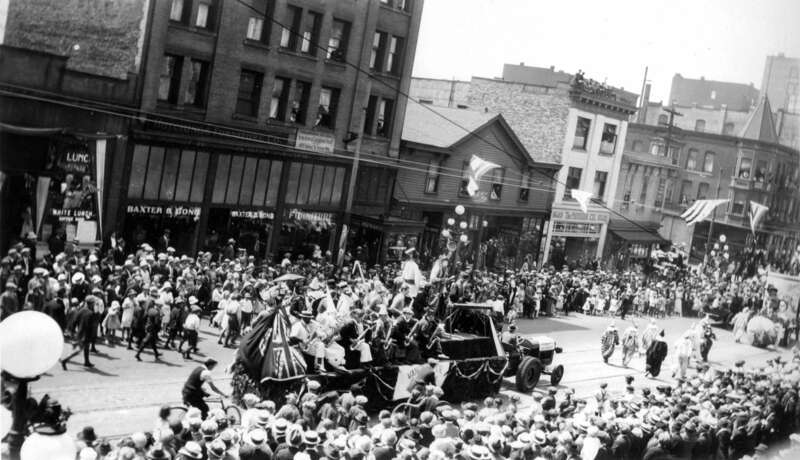 Be sure to check out this year’s Canada Day Parade in downtown Vancouver tonight starting at 7:00pm along West Georgia between Broughton and Burrard.